Holiday time is for family. You shouldn’t have to worry about your family’s safety. Follow these Christmas Tree Safety Tips and you will be ready for all the festivities. 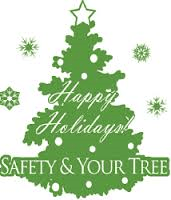 Sharp Tree Service wishes all of our customers a safe and happy holiday season!